Nestled inside this Beverly Hills newcomer are racks filled with stylish apparel, jewelry, beauty products, and accessories that have It girls buzzing. The corner shop, an offshoot of H&M and sister store to upscale, ultra-modern label COS, offers covetables like braided leather bags, Euro-inspired frocks, and minimal, yet geometric jewelry. 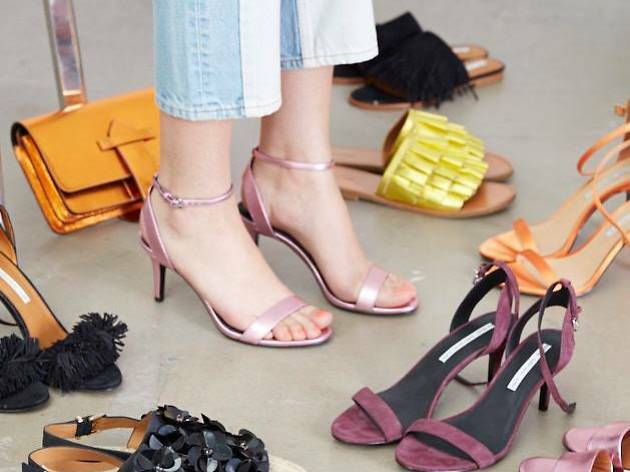 But tucked in the back of the store is perhaps its greatest offer: a treasure trove of fashion-forward shoes, from fringe slip-on sandals to satin heels to chunky leather boots.